Yeah, sure, it is hump day too. 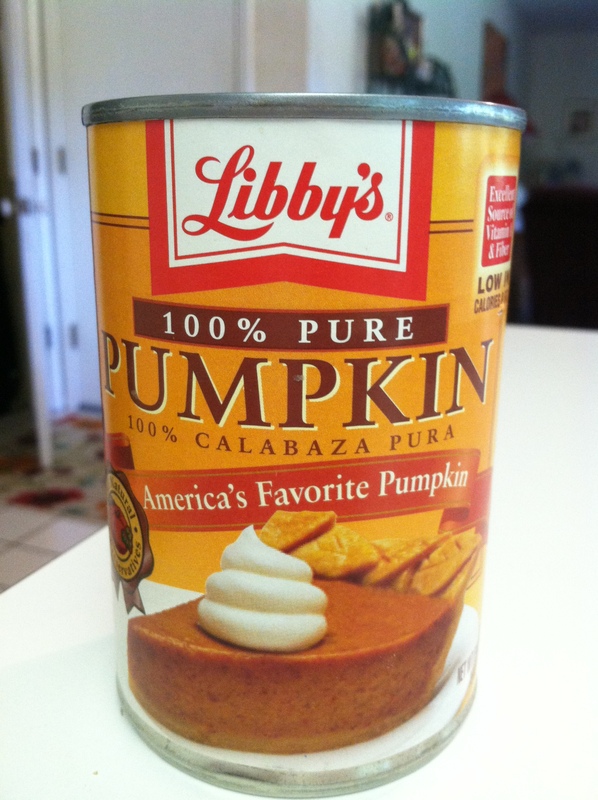 But more importantly, today I busted out the cans of pumpkin! Day of of cramming pumpkin into as many of my meals as possible has commenced! So happy hump day AND pump day! Today was my first day of Crossfit! I woke up pretty nervous and did my usual “lay in bed and think of one million excuses for why i can skip bootcamp” deal before peeling myself out of bed and into the car for the quick drive to my workout. 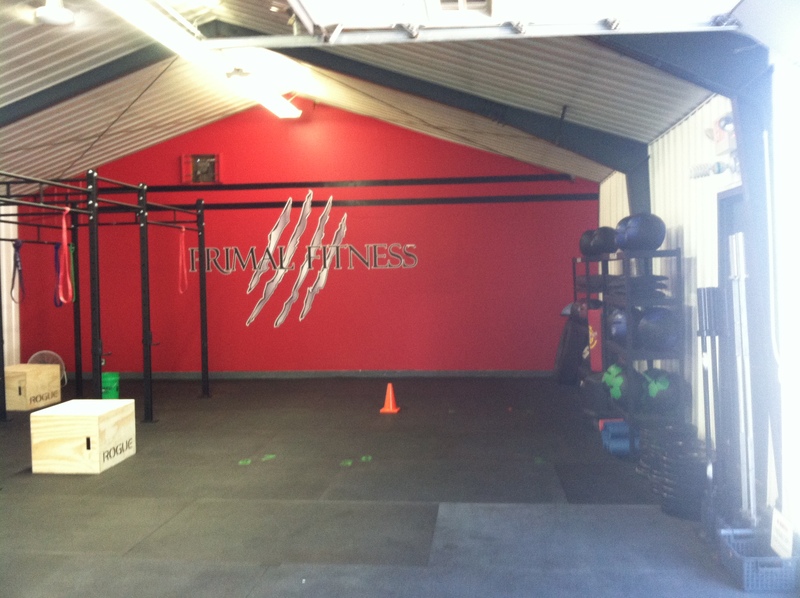 Primal Fitness Bootcamp is located in the heart of my town so it’s a quick and easy drive there. It’s inside of a warehouse-like building, with giant doors open to the outside. I love workout spaces like this! Music pounding, equipment everywhere, teamwork, and intensity. It was so much fun! The owners Chris and Barb were so welcoming. Even though I could tell people knew each other from a previous box, I was thrown right in the group setting and it was a blast! 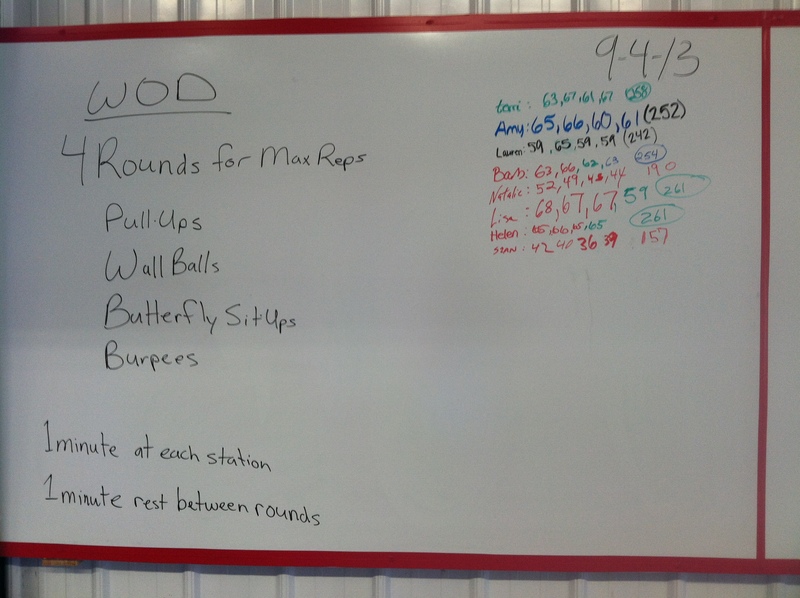 After a warmup of jogging, sprints, high knees, skips, etc., we turned to the board and learned all about our WOD. 1 minute at each station, 1 minute rest between rounds. It was intense to say the least. I’ve never had much upper body strength, so the pull-ups were definitely the hardest for me. Luckily there were plenty of modifications for every skill level so I used a band as assistance. It’s exciting because I know that if I keep working hard at it, I’ll eventually be able to do pull-ups on my own. I’ll officially feel like a badass the day that happens haha. I came home from the workout and immediately pulled out a can of pumpkin. 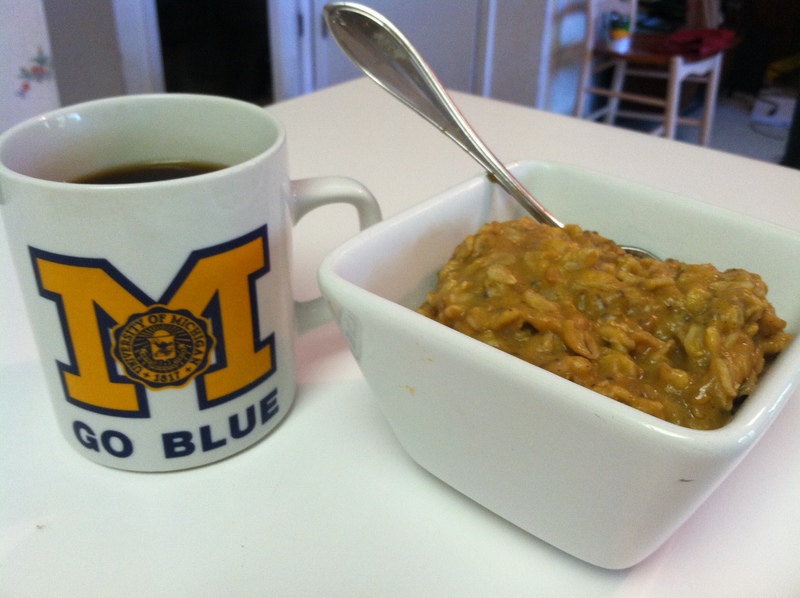 I whipped up a quick batch of pumpkin oats for breakfast. Today and tonight are cooking days! I have some recipes to cook up and share with you, so keep an eye out for those in the next few days. Until then, have a great hump day! Question: what’s one exercise you’ve always struggled with? Push-ups and pull-ups are impossible for me! I’m glad you felt comfortable joining the crossfit team! I know it’s awkward sometimes but at the end of the day everyone is there for the same reason. Ugh, and I cannot get my push ups right. My elbows crack sometimes :(. Any who, I’ll be looking forward to your recipes!